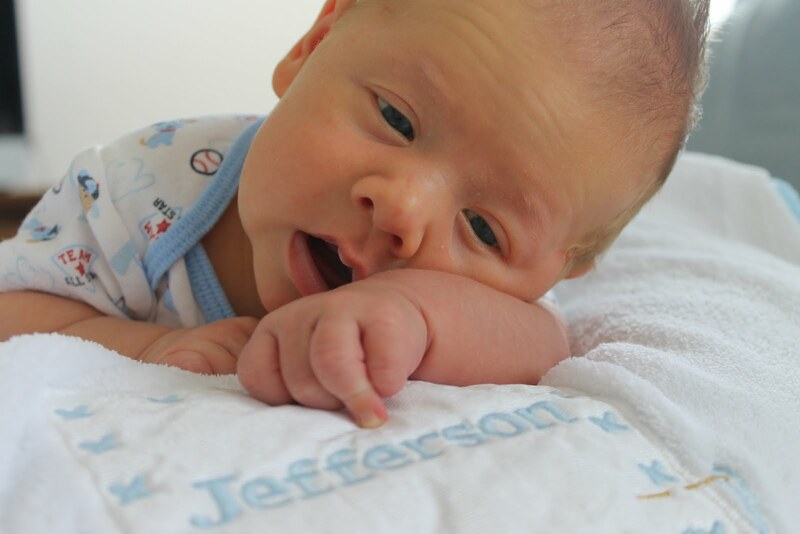 Jefferson has been here for one month today! The past few weeks have been so blessed. We have had our share of spit-up, diaper changes, learning moments, and growing pains. But we have also had indescribable joy, excitement, laughter, and love. Our big guy is trying to keep up with his big brother already. He rolls over consistently from front to back. 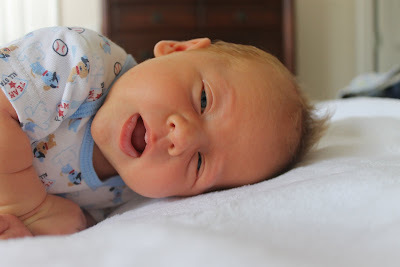 He has started to rock from his back to his front and can roll onto his side. He is starting to "talk" to us and his smiles are becoming more intentional as he beams at our goofy antics to elicit them. He had his first bottle this week. Jefferson has an appetite to rival a teenager so like his big brother I foresee beginning solid foods earlier rather than later. He tips the scales at around 9lbs (or so I can tell on our home scale.) He has slept in his own room since 3 weeks and typically gives us a 5 hour stretch of sleep meaning only one middle of the night feeding! He loves being snuggled in the sling and I love wearing him in it. We very contentedly go to church, run errands, take walks, and clean the house this way. Jefferson loves watching Matt and Harrison play and is mesmerized by ceiling fans. 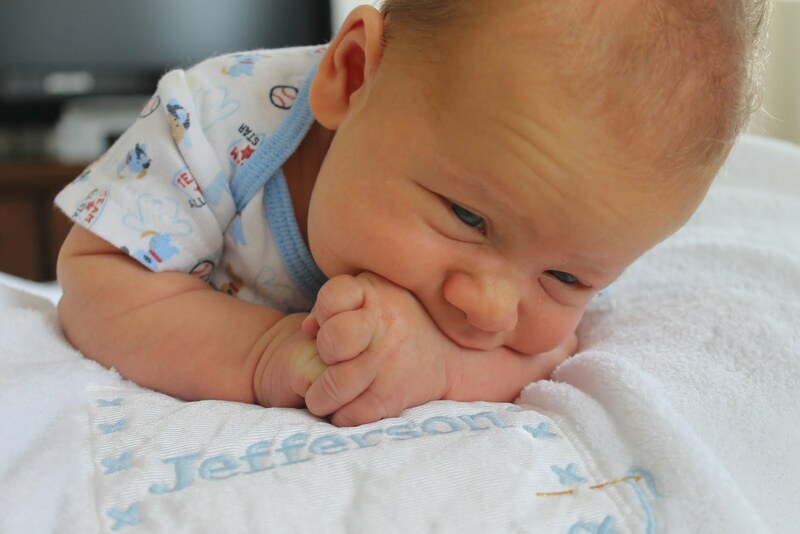 We have been so blessed to have Jefferson as a part of our family and we look forward to what the coming months will bring as he continues to grow! So sweet! Glad he is doing so well!